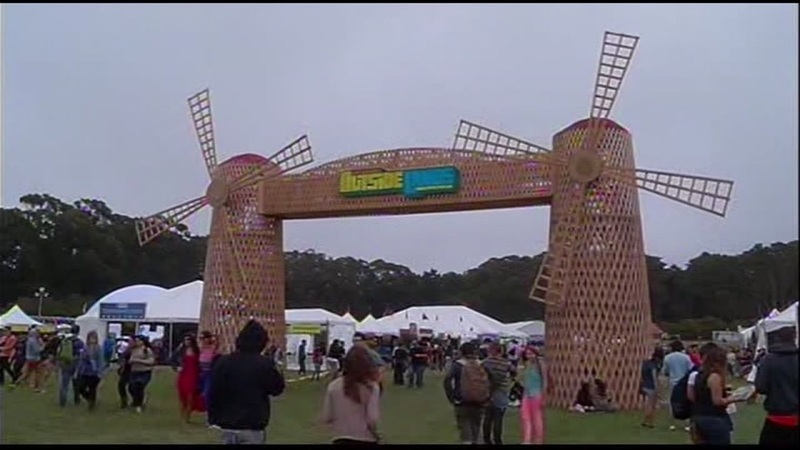 SAN FRANCISCO (KGO) -- San Francisco police say they're going to increase the number of officers patrolling this weekend's Outside Lands Music Festival in Golden Gate Park. ABC7 News was at the polo fields Wednesday as crews were setting up for the three-day festival. It starts Friday and ends on Sunday. Officers will be out in force, both in uniform and in plainclothes, to make sure the tens of thousands expected to attend stay safe. This year, police will also be keeping a close eye on each other. "Obviously, it's a heightened alert for terrorism and for attacks for police officers nationwide," said SFPD Chief Toney Chaplin. "So we're going to definitely going to be out there in force making sure we protect the public and ourselves as much as we can." Radiohead, LCD Soundsystem, Lana del Rey and Lionel Richie top this year's notable acts. Both Del Rey and Richie will close out the festival on Sunday.